We are two guys from Alabama and a Welsh-Londoner talking transatlanticism, telling stories and whinging about life in the big city. 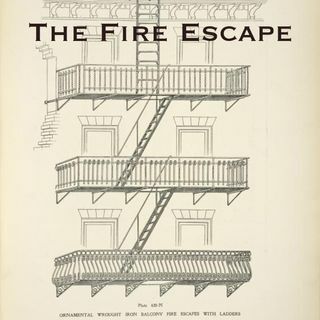 Welcome to The Fire Escape. We are two guys from Alabama and a Welsh-Londoner talking transatlanticism, telling stories and whinging about life in the big city. We hope to highlight unique voices and stories, connect people, talk about the cultural similarities and differences of being Alabamian/Southern vs. Welsh/British, and how ... See More living in a place like NYC can enhance or erode those identities. The podcast that makes you feel at home, wherever you are.